Heavy duty money bag, made of black 3,00 mm rubber. 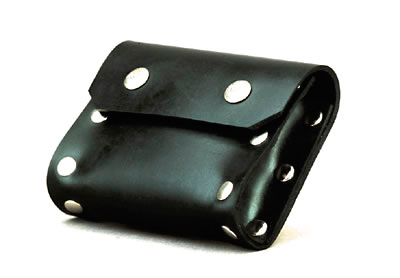 The bag can be closed with press studs and measures 11 in the width and 8 cm in the height. The bag fits with all of our belts up to 5 cm width.